Inside, we will continue mechanical, plumbing and electrical work on the 2nd and 3rd floors. Over the Thanksgiving break, we will complete extensive electrical work throughout the building. During the Christmas Break, we will reinforce columns to support the new penthouse on all levels. Additionally, extensive mechanical, electrical, plumbing, heating and ventilation work will take place. Particulate Matter data collected on 11/2/2018 showed most locations were below 5,000 parts per million (ppm), and all but two were below 10,000 ppm (approximately 90% of the test locations). Of the two that were over our screening criteria, one was in an enclosed space where welders were working. We increased ventilation to mitigate particulate levels at this location. The other was just under 12,000 ppm and did not appear to be an ongoing issue. 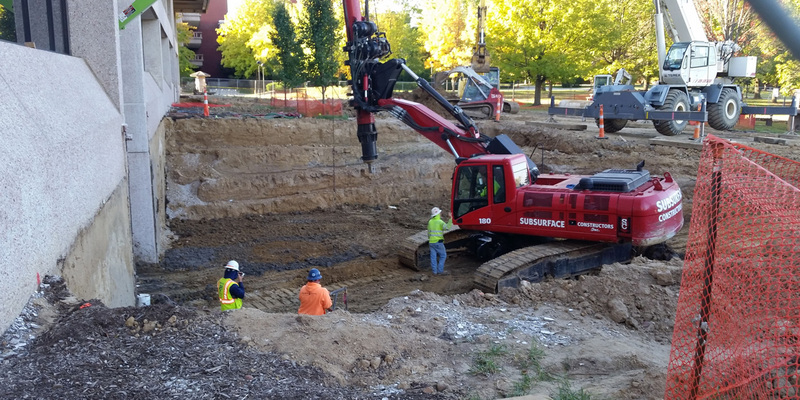 University Emergency Management and Safety will continue to monitoring levels of particulates throughout the construction process.